Elite Academics, Inc. is a privately owned tutoring company that specializes in math and science tutoring, ACT preparation, and college planning in Denver, Colorado. At Elite Academics, we focus on the needs of the student, quickly assessing and creating a personalized program that will help give the student the resources they need to thrive in and out of the classroom. We help students build healthy and successful study habits, and establish realistic goals and plans that give students the confidence to succeed. Elite Academics is proud to serve clients located throughout the Denver metro area from a variety of high schools, including Kent, Regis Jesuit High School, Valor Christian High School, Cherry Creek High School, Arapahoe High School, and Rock Canyon High School. Due to the diversity of our clientele population, Elite Academic tutors are well versed in a variety of subjects as well as the different aspects of college preparation. What are you waiting for? Contact us now to start your path to success. Are you ready to succeed in any subject? Elite Academics has been providing exceptional tutoring in a variety of subjects for all ages in and around Denver. Although we specialize in math and science tutoring, a qualified tutor will be able to work with your child in any subject. Unlike many other tutoring services, Elite Academics specializes in more advanced high school math classes. If we do not feel strong in a subject, we have partners we can confidently recommend to you in order for your child to have the best learning experience possible. Is your student busy during the week? It can be hard to fit in test practice! For that reason, we hold these popular classes on Sunday afternoons. Did you miss the cycle for our regular class? Do you learn best with individual interaction? We offer private tutoring as an option. Can’t make our Sunday class and/or would like more individual attention, this class is a great option for many students. These are the most current class schedules for our Sunday afternoon sessions based on the ACT test date. Don’t hesitate to contact us if you have questions. 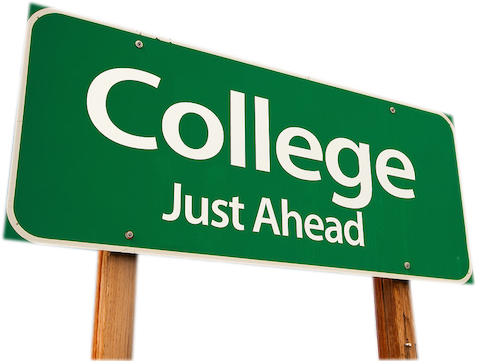 Elite Academics has developed college preparation packages to help both students and parents navigate the potentially stressful application process. Our college planners have years of experience helping students find the right school that meets both their financial and academics need. As you begin this process, let us help make your experience easy and rewarding. Want to learn more about Elite Academics? Be reminded about upcoming tests and classes? You bet you do! Sign up for our monthly newsletter today and you will be forever rewarded! Elite Academics encourages higher education for each of our students, but we understand how expensive college can be. In 2010, Elite Academics started its college scholarship program. Students who showed both financial need and excellent academic success were invited to take advantage of this opportunity by completing two brief essays on varied subjects. Elite Academics is proud to give back to their clients and further the education of students by not only providing them with the exceptional learning tools throughout high school but also presenting a generous scholarship opportunity as well.